The Rolling Stones Song of the Day is I Wanna Be Your Man. I Wanna Be Your Man was the second single released by The Rolling Stones, it came out in November 1963 and peaked at #12 on the UK singles chart. The song was written by The Beatles- mostly by Paul McCartney but finished up by Paul and John Lennon one evening in the corner while Mick Jagger and Keith Richards were talking. Paul later said he thought the song would be good for them, they he knew there were into Bo Diddley stuff and that in the end he thought they did a good job with it. The Beatles would do the song themselves with Ringo doing the singing. The Beatles and The Rolling Stones were friendly rivals during the 60’s- I think the existence of the other band spurred the other band on- like The Beach Boys around Pet Sounds also motivated The Beatles. These people liked one another. 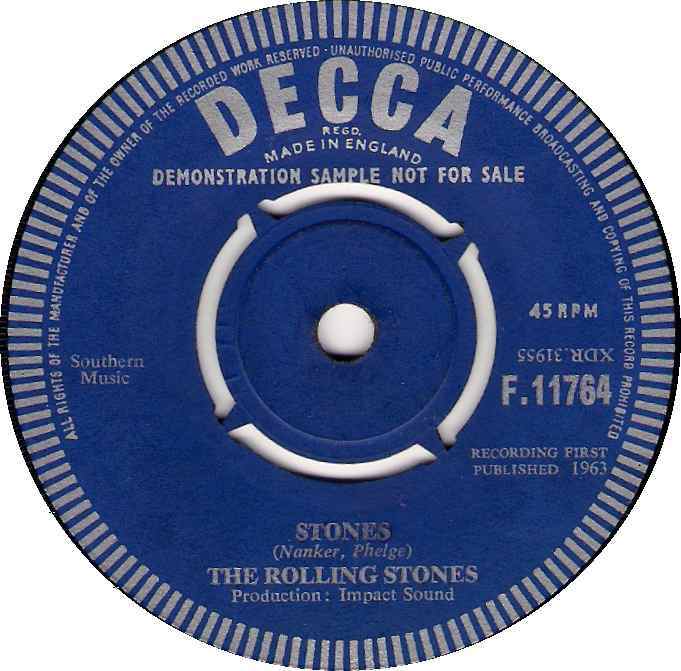 In 1963 The Rolling Stones only released two singles- four songs- no album yet. Brian Jone’s slide is great in this. They were a different band with Brian. I like the early Stones stuff too. The classic period 1968-73 was fantastic but played to death it’s like radio forgot they were great before that.. I know…I think to myself how can I complain about Brown Surgar and that era… but I complain because thats all radio programmers know…and thats all the Stones go by live…not all but the bulk. Sounds like The Beatles – but they did it better! First one I recognize. I was thinking this was the same song Bob Dylan did, but I just went out to youtube and it’s similar, but not the same.